Over the Summer months trained volunteers and staff from the GSPCA carried out extensive searches in the southern area of L’Ancresse Common after a dog walker reported seeing the tail-end of a fairly large snake enter the gorse. Nearly 3 months ago a dog walker reported what was thought to be a snake with the tail-end being about a metre in length and several inches wide. Earlier this week a Corn Snake was found and rescued by the GSPCA on Route de la Mare de Carteret. After advertising the stray snake online and through the local media we are delighted to report that the female 5 year old snake who was very much loved and missed by her owner is now home safe and sound. Owner Teresa Rodgers said "She is doing well and letting us handle her again without any problems." "Jake has two corn snakes a male Corn Flake and Pop Corn a female." "She is 5 years old and Jake has had her from a baby." With the tables all sold out there is now a waiting list for those wanting to attend the GSPCA Mystery of Masquerade Charity Ball in November. However if you are looking for a Mask then why not try Balloonees who are supporting our event. This morning the GSPCA had a call about a stray Snake in the St Peter Port area. Animal Collection Officer Geoff George before he started his shift had a call to help with a rescue of a Snake. Geoff made his way to First Tower Lane where he found the Albino Corn Snake. 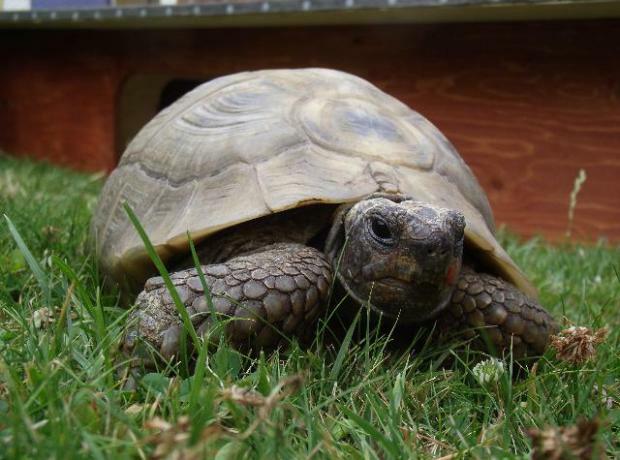 He quickly secured it and it is now back at the GSPCA Animal Shelter in St Andrews, Guernsey. We are pleased to announce that the owner of Chilli has been found. Claire Mclarnon after seeing formerly named Chilli the Corn Snake in today's Guernsey Press has just called into the Animal Shelter in St Andrews to confirm Chilli is indeed Lenny. Claire who whilst in the middle of moving discovered Lenny had escaped in transit nearly 3 weeks ago. At 3 years of age Lenny has survived some of the coldest temperatures Guernsey has had in the last year and staff and volunteers at the Shelter were pleased to see how happy Lenny and Claire were to see each other. Yesterday Ambulance Collection Officer had a very unusual call to collect what sounded like a stray snake on the beach. The call came via the police after being spotted by some passers by walking along the front at Halfway in St Sampsons. Geoff George attended to find a very cold stray corn snake. 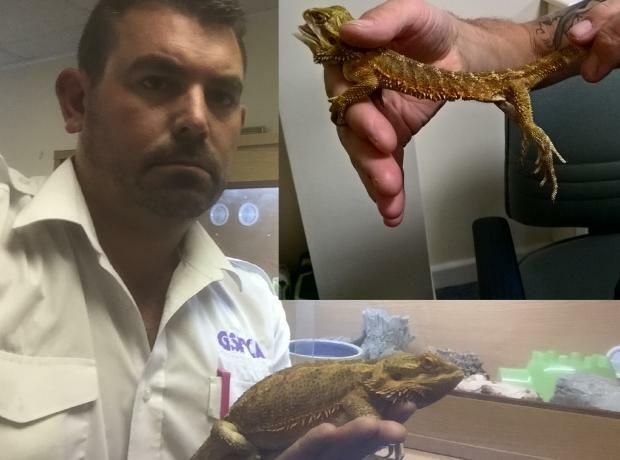 Now named Chilli and in a warm vivarium at the GSPCA Animal Shelter we are appealing for the owner to come forward. At around three feet long it is not possible to age Chilli but if you think this is your snake please call the Shelter on 01481 257261. Just over a week ago a stray snake arrived at the Shelter after being brought in by ACO Geoff George. The snake was spotted basking in the sun and was placed safely in a container where she spent several days before doing a Houdini act. The little lady managed to escape and Shelter staff are now looking for her. It is highly unlikely she has got out of the Shelter as she was in a secure room and building but if you do spot a Californian King Snake please get in touch.